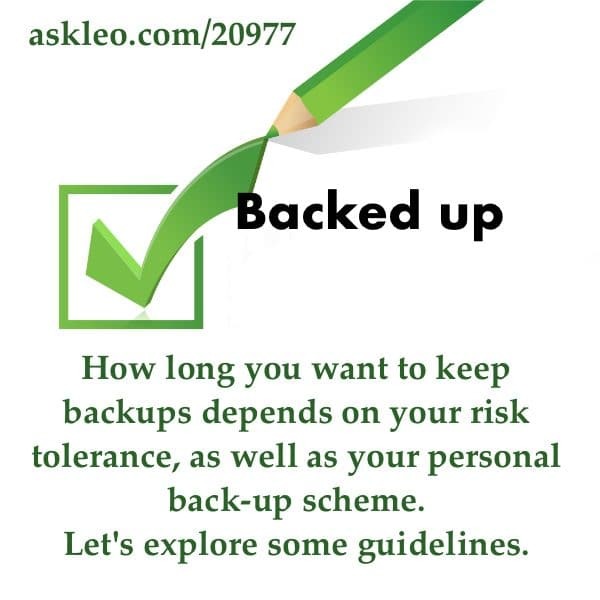 How long you keep backups depends on your risk tolerance, as well as your personal back-up scheme. Let's explore some guidelines. - Ask Leo! « Previous post: It’s easy to fix the recycle bin: just delete it, and Windows handles the rest… the registry is not involved.